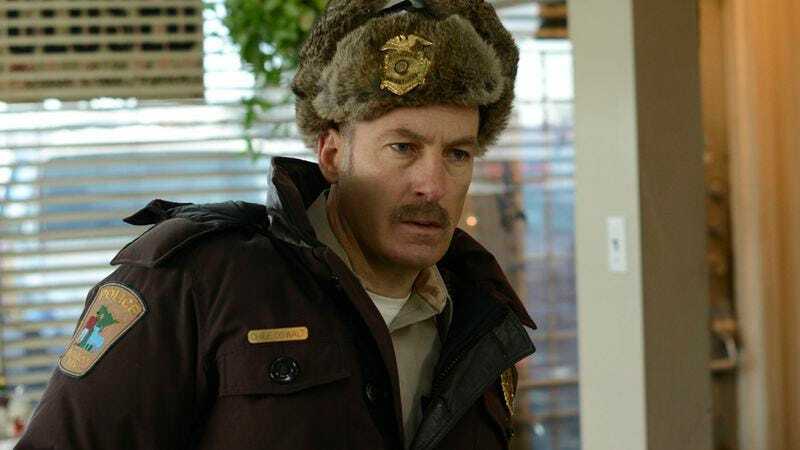 Bob Odenkirk is an exceedingly gracious man who stars in Fargo, a show about the unfailingly genteel people of the Midwest, which filmed some of its scenes in Calgary, in the nexus of nice that is Canada. So when Global News reporter Gil Tucker happened upon Odenkirk while doing some man-on-the-street interviews—and proceeded to ask him about it, while clearly having no idea who Odenkirk is—the result is a perfect storm of politeness. In the video below, Tucker amiably, Canadian-ly asks Odenkirk, “What do you see over here, eh?” and Odenkirk obligingly replies, “We’re shooting a scene”—much to Tucker’s delighted surprise that he’s apparently some sort of actor. As they both pick their way through a perfectly pleasant, if awkwardly uninformed chat, it all culminates in Tucker calling out a friendly, “Oh hey, what’s your name?” Regrettably, he doesn’t add, “Well good luck with it, maybe you’ll catch a break”—though, to be fair, that would have required knowing who Bob Odenkirk is.